The US-SDF alliance are attempting to justify yesterday's shoot-down of a Syrian government bomber jet, claiming it was shot down in self-defence because it was attacking the SDF near Tabqa. 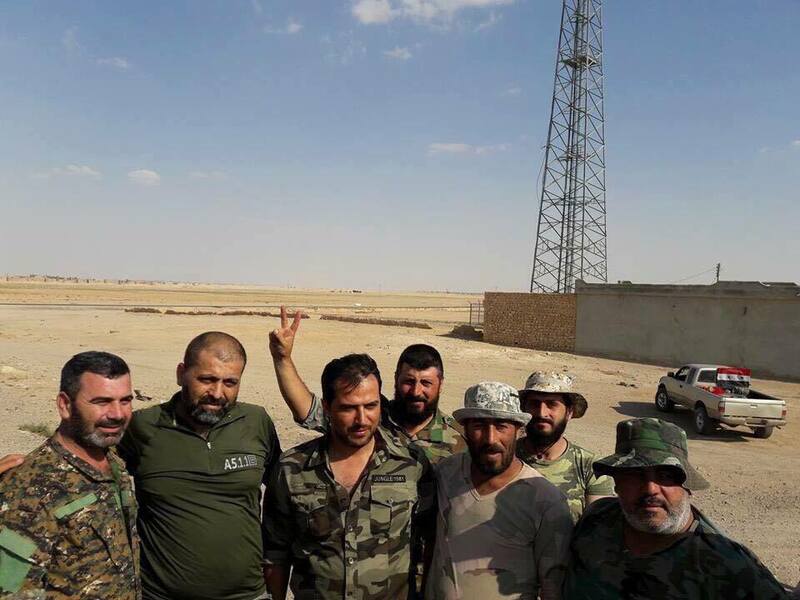 The Syrian government's version is that they were hitting ISIS positions in al Rusafah when the plane was shot down (at 9.45 pm Syrian time on 18/6 they claim their airbase lost contact with the pilot) which then landed in SDF controlled territory, and that clashes with the SDF came afterwards because the latter are blocking them from rescuing their pilot, officer Ali Fahd. The US-SDF aren't even claiming that their forces were *directly* bombed, only that the SAA bombed a site near them. Which site? According to an article by the Independent, a town called Ja'din, which it claims is SDF-held, but according to livemap, Ja'din was ISIS held until the SAA took it within the last 24 hours. Of course the SAA are going to be bombing sites "near them" (the SDF) because ISIS is near both of them. The SAA is advancing towards ISIS held al Rusafah and their plane has been shot down. If the SAA takes that town it gives them a new route to Raqqa (especially since they can't advance along the Aleppo-Raqqa highway because it's blocked by the SDF) meaning therefore that the US-SDF alliance has an interest in preventing that from happening, that is, preventing the SAA from opening a new road to Raqqa. Livemap doesn't show any reports of bombing by the SAA against the SDF held area in yellow, BUT the SDF are claiming two clashes with the SAA (yellow assault rifle icon) - the one on the right in particular supports the Syrian govt claim that they have been blocked from retrieving their pilot, who, US command claims crashed in the area represented by that blue icon. Is it possible that a Syrian bomber jet was attacking ISIS in and around al Rusafah, which the US then shot down, forcing the pilot to crash-land in SDF held territory, which is obviously preferable to landing in ISIS territory? Yes. Is the US known for lying? Yes. The SAA have made rapid advances into ISIS held territory in the past two days, which gives them a new route towards Raqqa. Would the SAA fight the SDF to get to Raqqa? Unlikely. Why? Because in war you pick your battles. The US-SDF alliance by contrast has every reason to obstruct SAA offensives against ISIS because, well, they want to be the ones to take Raqqa. UPDATE: Officer Ali Fahd is okay (bottom photo). He was the pilot of the Syrian plane that was shot down by the US airforce on behalf of their SDF allies. He was handed over to the SAA by the SDF.